Subaru is recalling select 2015 WRX and WRX/STI vehicles with an optional factory-installed subwoofer located in the trunk of the vehicle. An electrical short may damage the subwoofer resulting in electrical short and overheating. General Motors is recalling select 2015-2016 GMC Canyon and Chevrolet Colorado and 2016 Chevrolet Volt Vehicles. The driver’s frontal air bag may be improperly inflated increasing the risk of injury. Toyota is recalling select 2005-2007 and 2009-2010 Toyota Sienna vehicles. Due to a problem within the shift lock assembly, the lever can be moved from the “Park” position without depressing the break. Tesla is recalling select 2016-2017 Model X vehicles. The left-side second row of seats may have backs that do not fully latch. 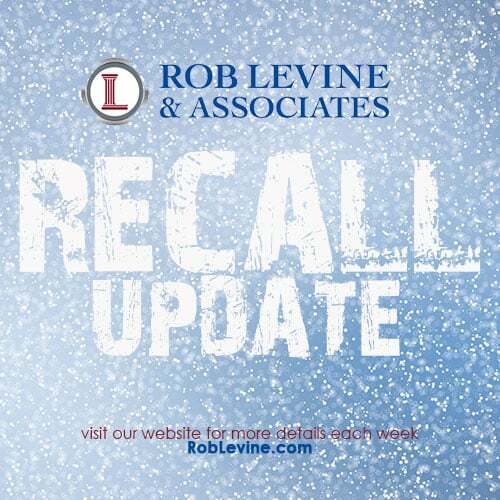 Jeep is recalling sect 2012 Jeep Liberty and 2012-2013 Chrysler 200 and Dodge Avenger vehicles. Active headrests may not deploy in certain rear end crashes.